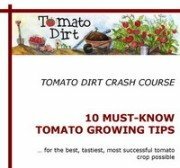 Individual frost covers are a good option to consider if you want to extend your tomato harvest in the fall or protect young plants in the spring. 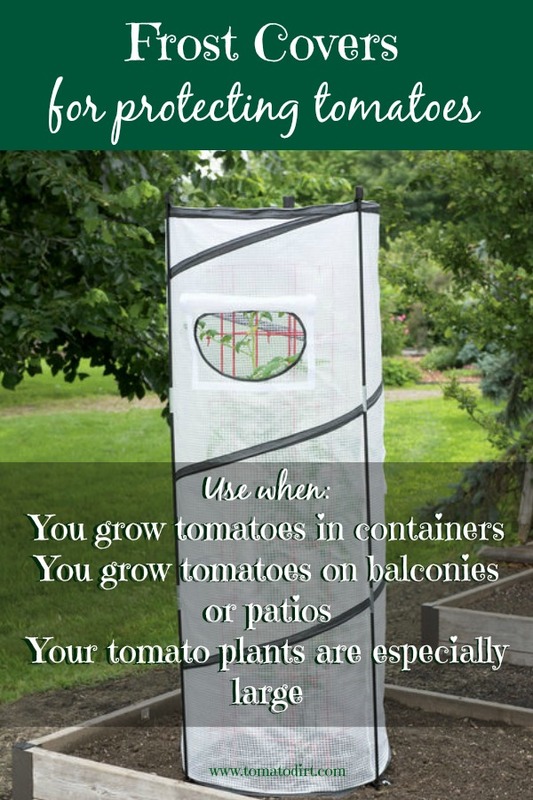 Individual plant covers are especially helpful to use when you grow tomatoes in containers or pots, where an individual cover is more practical than row covers or tunnel covers. You may also consider using individual frost covers if you grow tomatoes on a patio or balcony or a few tomato plants in the garden – and need to protect just one or two plants. In this case, individual covers make sense. Use them when plants are especially large and need their own coverings to protect them adequately. * Non-woven polypropylene fabric is the most commonly-used fabric. It is lightweight and breathable. * Many have drawstrings, cord locks, or zippers to help fit covers onto plants and hold them in place. This is especially helpful in windy weather. * The frost covers are available in various sizes for whatever size tomato plant you grow, making them versatile. * They are reusable from season to season, making them affordable and cost-effective over the long term. * They provide as much as 5-10 degrees of frost protection. This is helpful information to know when you study the forecast and determine if saving your plants is feasible. When frost is in the forecast, take these steps to protect your tomato plants with plant covers. Water your plants thoroughly during the daytime before covering them. Garden soil releases moistures into the air around your plants overnight to keep the air a bit warmer. Cover your tomato plants before dusk to help capture the heat stored in the soil while the sun is up. Secure the drawstring or cord lock but do not squeeze it too tightly, or the strings can bruise or damage stems and leaves. In the morning after the sun is up, remove your plant covers to allow both the plant and the soil to absorb heat. If parts of your tomato plants are damaged by frost, resist the urge to prune them. Damaged leaves and stems will insulate the rest of the plant from frost during the coming weeks until the season is completely over. Continue covering your plants at night until they are finished producing tomatoes or until the weather turns cold enough that the plant dies down for the season.